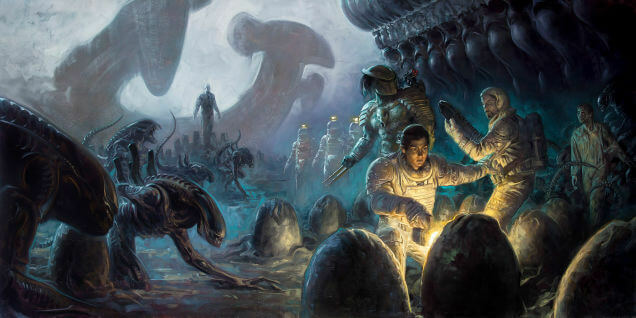 The first issue of Dark Horse’s Prometheus #1 comic isn’t due until September 10th of this year, but you can get an exclusive sneak preview right here! It seems a group has sent to LV- 223 to investigate what happened to the crew of the Prometheus, but it’s staffed by a much, much smarter group of scientists. Prometheus: Fire and Stone #1 will be written by Paul Tobin with interior art by Juan Ferreyra.